Find a restaurant or a poutine you want on this page! Cheesy goodness awaits you. Butter Chicken Poutine. Masala fries topped with cheese curds, chicken and our house made butter chicken sauce. Buffalo Chicken Poutine. Hot sauce braised chicken mixed with crispy french fries and squeaky curds topped with house made gravy. Deep brown gravy, cheese curds, and beer-battered fries! Add ons are always available such as bacon and green onions or pulled pork. Pulled Pork Poutine with seasoned hand cut fries, Quebec cheese curd and brown gravy. Sauerkraut Poutine Hash. Double fried hash-browns, cheese curds, gravy, sauerkraut, garlic breadcrumb. 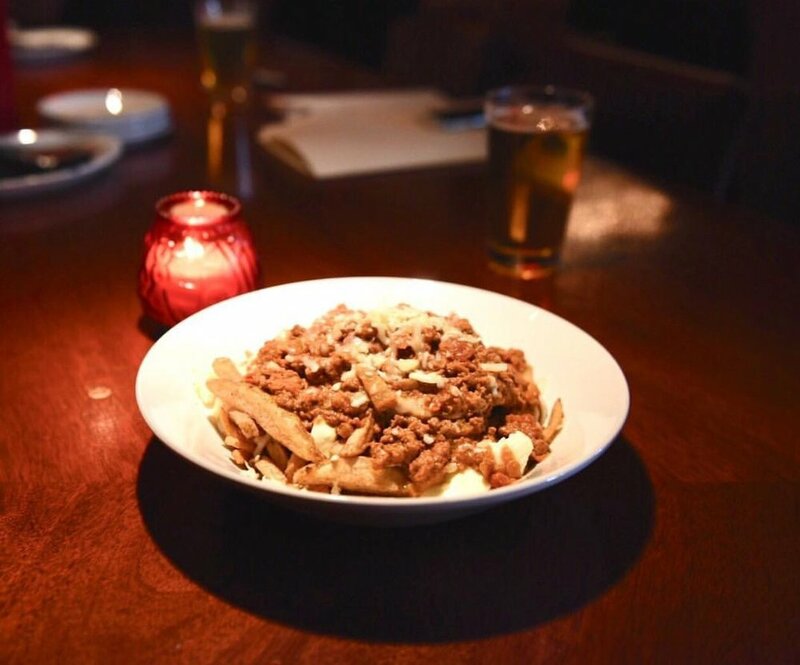 Norther Quarter is offering three amazing poutines! Cheeseburger Poutine; Floyds fries topped with cheese curds, gravy, burger, 2 piece bacon, cheese sauce, green onion. Truffled Duck Poutine; Duck confit, poached duck egg, shaved truffles, gravy. Pluto Poutine; french fries and onion rings with mixed cheese, roasted garlic and gravy. Polenta Fries Butter Chicken Poutine; strips of polenta fried till crispy, then topped with our butter chicken and mozzarella cheese. Garnished with green onions. 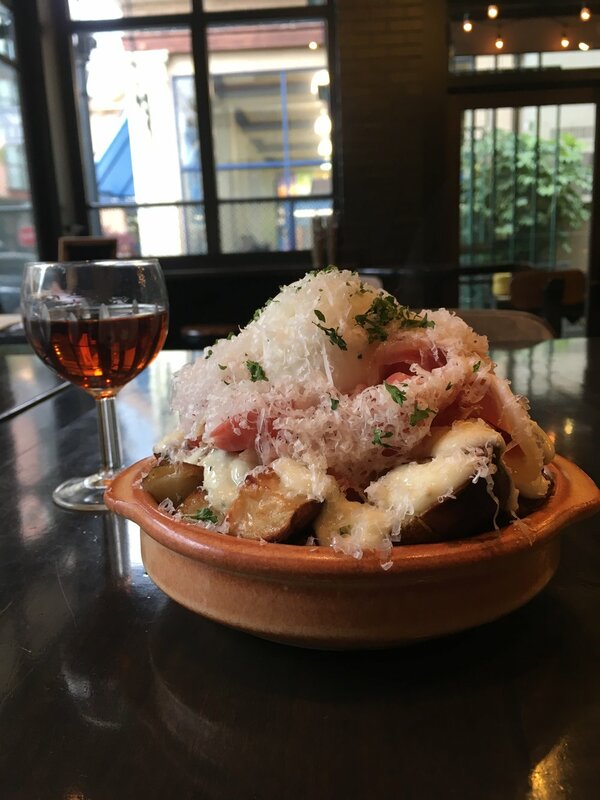 “Papas Supremas”; roasted potatoes with garlic aioli, topped with Serrano ham, a soft boiled egg, and shaved manchego cheese.